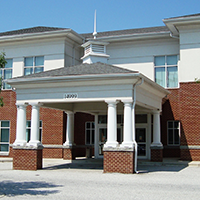 Community Radiology Associates (CRA) | Bowie Radiology Services is part of the CRA network of outpatient radiology centers in Carroll, Frederick, Montgomery and Prince George’s counties in Maryland. Community Radiology Associates offers a complete array of diagnostic imaging exams including 1.5T MRI/MRA with a wide-open design to accommodate claustrophobic and larger sized patients, CT/CTA, ultrasound, mammography, ultrasound, fluoroscopy, DEXA for bone density measurement and digital X-Ray. Patients needing an immediate X-Ray are welcome to come in on a walk-in basis; no appointment is needed. Bowie Radiology Services also offers the very latest technology in women’s imaging, including 3D/4D obstetric ultrasound and 3D mammography. If you are an expectant mother, there is need to visit an ultrasound portrait studio for 3D images of your baby; Bowie Radiology Services provides free 3D images when you visit us for a physician-prescribed ultrasound exam. You can rest assured that your ultrasound exam is being performed by experienced technologists and expert radiologists who are trained to recognize medically important conditions. We also offers a program called SnapIt that allows parents to share their ultrasound photos instantly online with family and friends through Twitter, Facebook, text, email and more. Bowie Radiology Services offers the latest advancement in breast cancer screening – 3D mammography. Studies show that 3D mammography detects 40% more invasive cancers than traditional mammography alone. Give yourself the advantage over breast cancer; ask about adding 3D mammography to your annual mammogram. You can trust our women’s imaging experts to deliver the very best care. Community Radiology Associates | Bowie Radiology Services serves the communities of Bowie, Mitchellville, Crofton, Woodmere, Lake Arbor, Largo, Kettering, Springdale, Glen Arden and more. Bowie Radiology Services provides a full spectrum of state-of-the-art diagnostic imaging services in a caring and comfortable environment. Please call for more information about our radiology services and convenient operating hours. Click here for a printable location sheet.